Spring in the sixth grade is a time of change. The students’ bodies are changing, and they learn about the hormones that are causing this. As the weather warms, drama increases. Best friends suddenly stop talking to each other, and boys are much more interesting. The smell in the classroom after P.E. would drive to drink someone less staunch than a sixth grade teacher. Talk turns to graduation, the end-of-elementary-school trip to Great America, and to summer. Hushed tones ask about middle school–that new and scary-exciting adventure waiting for them in the fall. And, during all this distraction, the state of California expects us to administer state testing. Have they never been in a sixth grade classroom in the spring? 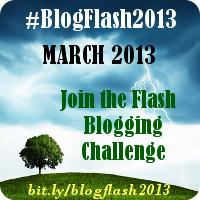 For more March Flash Blog entries, click here.